Connection to modules via Bluetooth® does not work (even if there is voltage on the module). Please make sure that Bluetooth® is enabled on your smartphone. 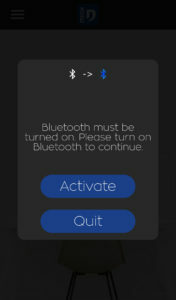 On Android, a popup displays to inform you when Bluetooth® is disabled but not on iOS devices. Please also make sure that you are within module range so that the connection can be established. If the module managed to be added but connection is never established, please check that the authentication procedure was properly executed. Otherwise, restart your Bluetooth® and application. When trying to connect my Dmax module, a popup displays asking me for a code. 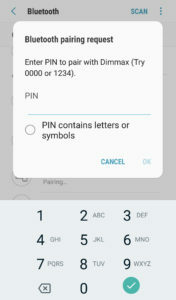 Dmax modules can only be added from the application via the “add a device” tab. Modules cannot be added with the Android or iOS Bluetooth® menus. Since the smartphone cannot connect without the application, it thinks the connection requires a code. Why does my main screen displays a question mark for my module? When adding a module without selecting an icon, the default icon is a question mark. When it is the case, simply add a customized icon by going to the advanced settings of the module. I’m touching the icon but nothing happens. The circle in the top-left corner displays the connection status. 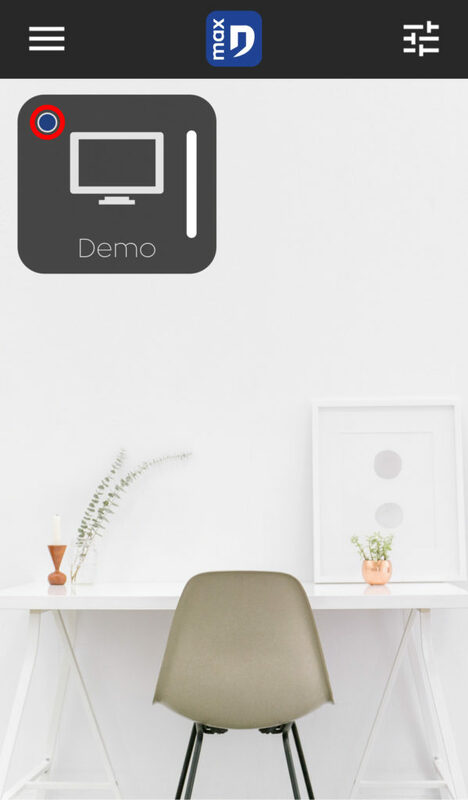 When the circle is empty, it means that the corresponding module is not connected yet. 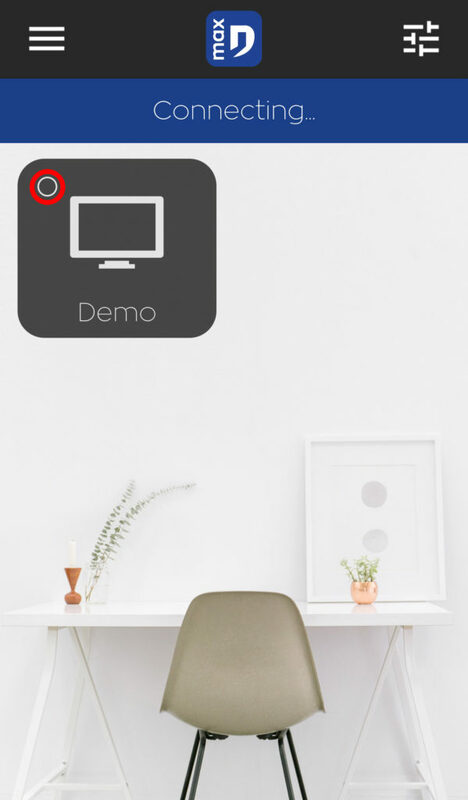 When the circle is blue, the device is connected and ready to be controlled. For some modules, it is possible to configure the short and long pushes. Make sure you properly configured your module. How to authenticate? Why push 5 times? The authentication procedure prevents people with no access right to the installation to control your modules. Each new user must authenticate when connecting for the first time in order to be added to the users list. 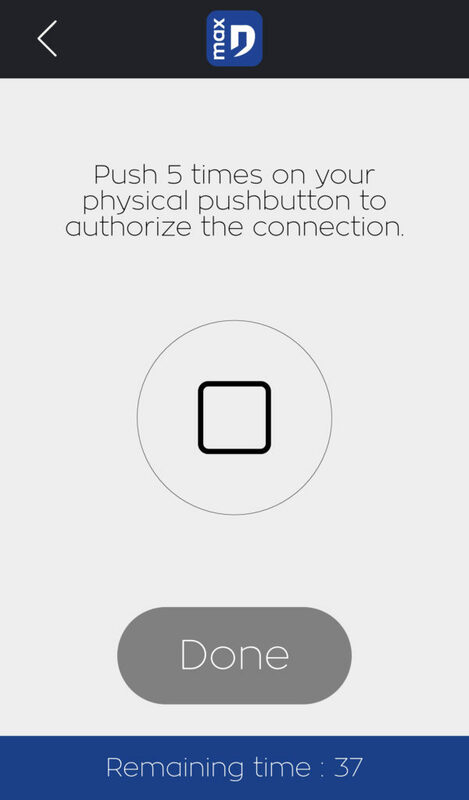 When the authentication screen pops up, press the physical button 5 times (you must have a physical button to start using the application). When the pushes are validated, a banner displays “authentication success”. The button status is displayed on this authentication window, then allowing the user to know if the device is connected. If the status does not appear, go back, re-scan and restart. This procedure is to be executed only once during the first connection. Why do I need a physical button? 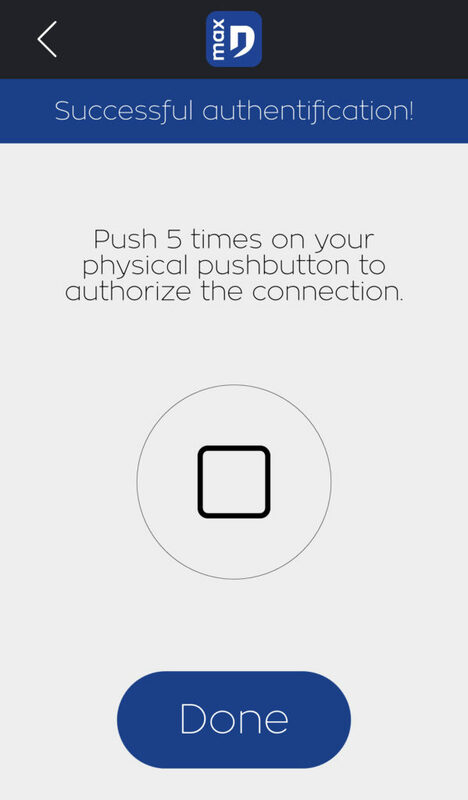 As explained in the authentication procedure, a physical button is required to start. Once all the users are properly saved in the list, it is possible to remove the button to control the devices only with Bluetooth®. I cannot add any module. Please make sure your button is properly wired. The test can be conducted by inspecting your outputs (by dimming, by enabling/disabling the relay). If – despite a correct wiring – the module will not be added, please contact our technical support. Where can I find the user manual of my modules? 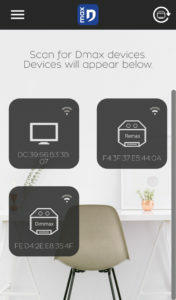 Each module has its own user manual available for download on every product sheet on the dmaxbydomintell.com. A tutorial is also available in the mobile app. How many modules do I need to start? 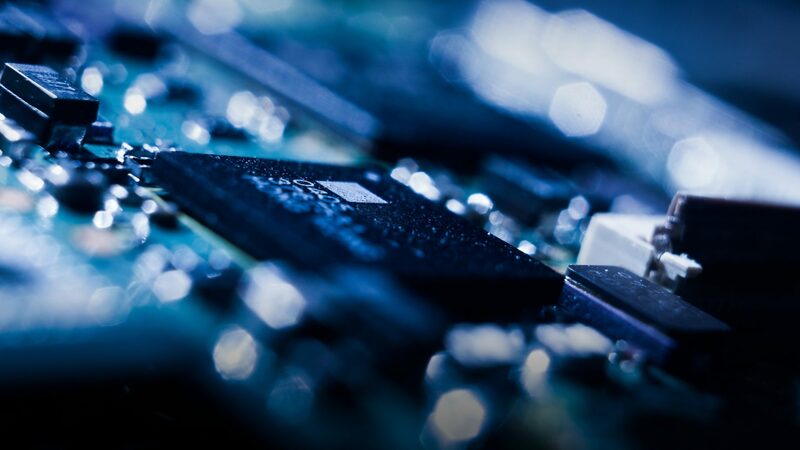 The Dmax Bluetooth® system can function starting with a single module. What is the address displayed below the icon during the scan? This is the Bluetooth® MAC address of the module. This address is unique and allows the module identification. Why is this address not displayed on iOS? iOS hides the MAC address of the device, which is not the case with Android.